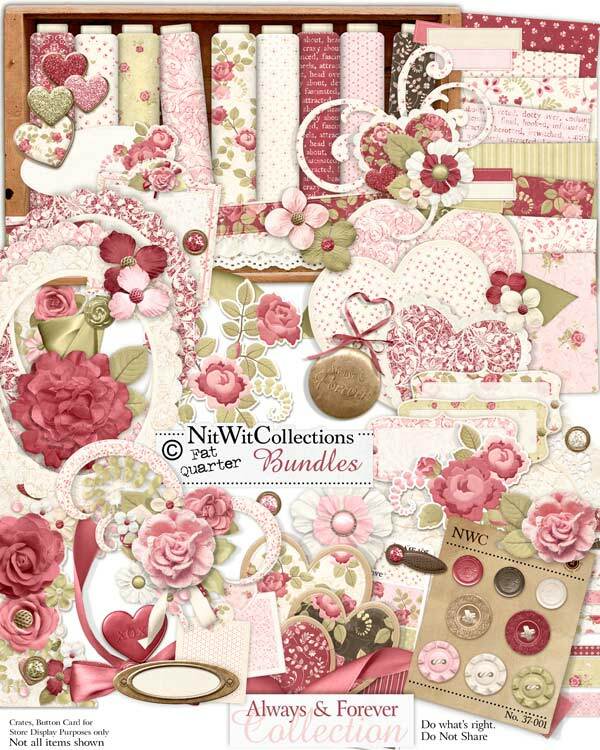 "Always & Forever" Collection is a kit about love! A more vintage feeling collection complete with many beautiful flowers, hearts, doilies, glimmering brads, and warm papers this digital scrapbooking and card making kit is sure to bring out your emotional side. Whether using this kit for an anniversary, Valentine's Day, Mother's Day or to convey your warm feelings for the people in your life this Collection is a perfect source! 2 Charms - not that you want to give away your personal charm! 1 Lace heart - see how delicate a heart can be?? 2 Name Plates - blank of course, can you imagine how many of these would be in the kit if we used everyone's names!